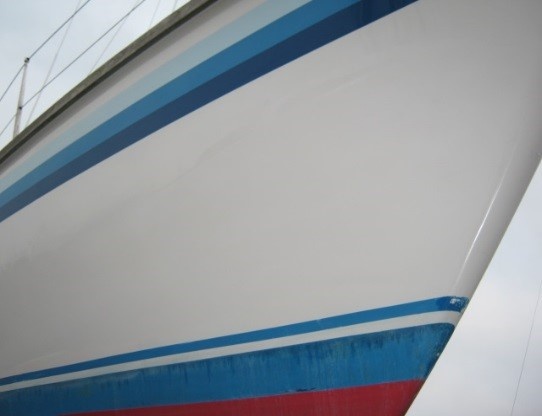 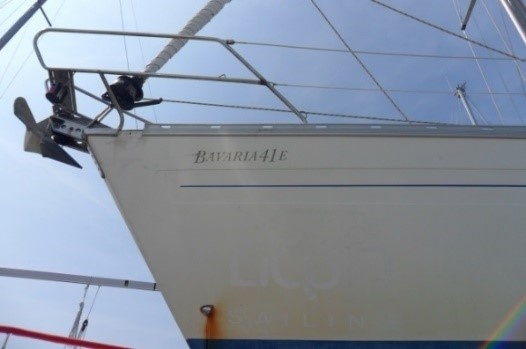 Blue and coloured Hulls and decks In general Most Blue or coloured Hulls do not require a stain remover although they do have a white boot top or waterline which may require a stained remover prior to painting or polishing. 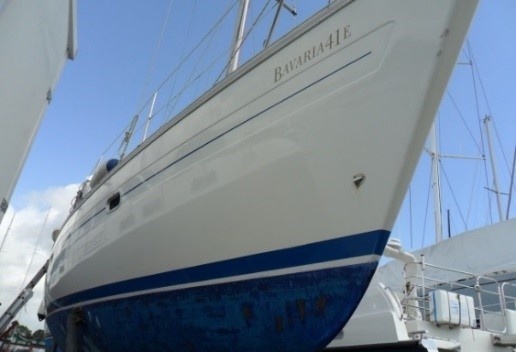 Finishing touches make the difference. 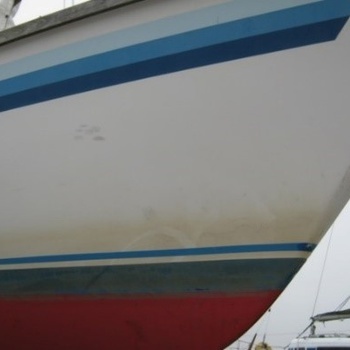 This boat required sanding of the hull before Compounding to bring back the shine, we used several grades of sand paper finishing with 1200grit. 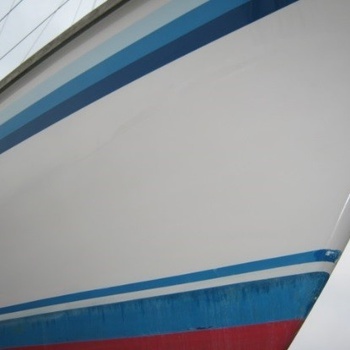 Then we compounded back to a high gloss finish, completing this procedure with a hard wax leaving a super finish and the hull protected for another season. 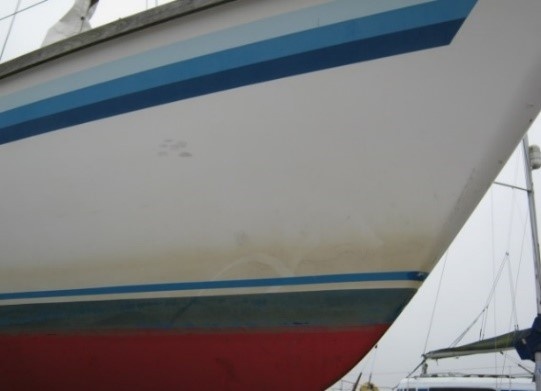 With all boats, there will always be some degree of UV damage, but if kept up together with a regular polishing the hull should not need this type of work at all. 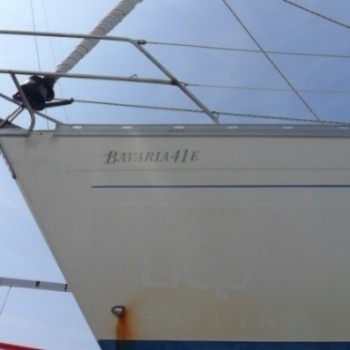 This vessel required a stain remover prior to polishing and as you will notice there is a vast difference and improvement in the final finish. 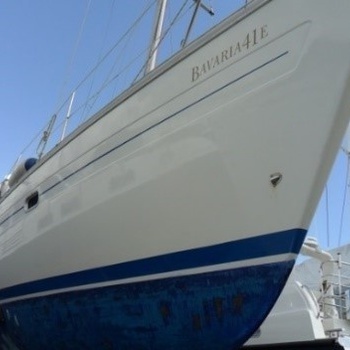 As you can imagine we have a lot of very Happy customers.